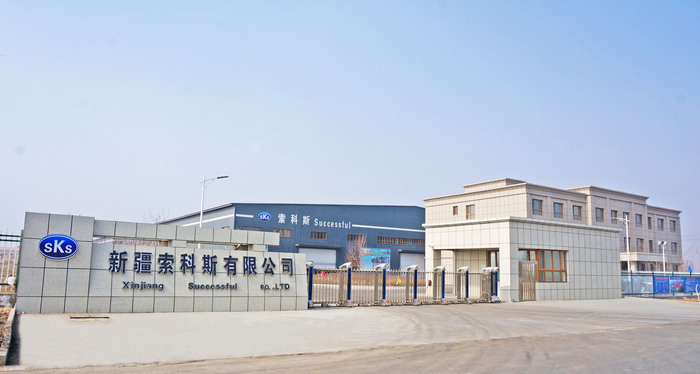 Xinjiang socus silicon co., LTD is a collection industrial grade silicon powder, research and development, production, sales in the integration of science and technology innovation-oriented enterprise. The company was established in 2010, Positioning for the industrial silicon powder materials research and development, and manufacturers, is committed to become the best partner of polysilicon, organic silicon enterprises. Company annual production capacity of 100000 tons of industrial grade silicon powder, with six whirlwind milling silicon powder for the production line. The mature technology and advanced testing equipment to ensure the stability of the products, to provide customers stable polysilicon, the main production raw material of organic silicon. Granularity than good activity and high recovery rate. Such as 4105＃、411#、4205#、421#、4305# brand industrial silicon powder series products. Company can according to user's special requirements for the production of various size industrial silicon particles. After many years of cooperation, with 12 in xinjiang silicon metal raw materials manufacturers established good strategic partnership. Upon stable product quality, sincere service, good corporate reputation, enjoys a high reputation both at domestic and abroad, so we keep long-term cooperation with the OCI , Xinte energy, and Xinjiang daquan company and so on. Company spirit of "taking market as the guidance, strives for the survival by the quality, efficiency from management, by the good faith development" concept, the company constantly improve the production efficiency and product quality, professional and technical team ready for the customer to solve problems in production process, and efficiently to provide customers with technical services, to meet the diversified needs of customers, meet company and customer win-win.